QUANTUM gravitational effects are usually ignored in calculations of the formation and evolution of black holes. The justification for this is that the radius of curvature of space-time outside the event horizon is very large compared to the Planck length (Għ/c3)1/2 ≈ 10−33 cm, the length scale on which quantum fluctuations of the metric are expected to be of order unity. This means that the energy density of particles created by the gravitational field is small compared to the space-time curvature. Even though quantum effects may be small locally, they may still, however, add up to produce a significant effect over the lifetime of the Universe ≈ 1017 s which is very long compared to the Planck time ≈ 10−43 s. The purpose of this letter is to show that this indeed may be the case: it seems that any black hole will create and emit particles such as neutrinos or photons at just the rate that one would expect if the black hole was a body with a temperature of (κ/2π) (ħ/2k) ≈ 10−6 (M⊙/M)K where κ is the surface gravity of the black hole1. As a black hole emits this thermal radiation one would expect it to lose mass. This in turn would increase the surface gravity and so increase the rate of emission. The black hole would therefore have a finite life of the order of 1071 (M⊙/M)−3 s. For a black hole of solar mass this is much longer than the age of the Universe. There might, however, be much smaller black holes which were formed by fluctuations in the early Universe2. Any such black hole of mass less than 1015 g would have evaporated by now. Near the end of its life the rate of emission would be very high and about 1030 erg would be released in the last 0.1 s. This is a fairly small explosion by astronomical standards but it is equivalent to about 1 million 1 Mton hydrogen bombs. In honor of pi day and the passing of Stephen Hawking, here’s one of his seminal papers published just before I was born. Some sad news after getting back from Algebraic Geometry class tonight. RIP Stephen Hawking. Physicist Stephen Hawking made a splash this week when he announced that he had solved a vexing conundrum that had puzzled generations of leading physicists -- including the 73-year-old scientific superstar himself -- for the better part of a half-century. 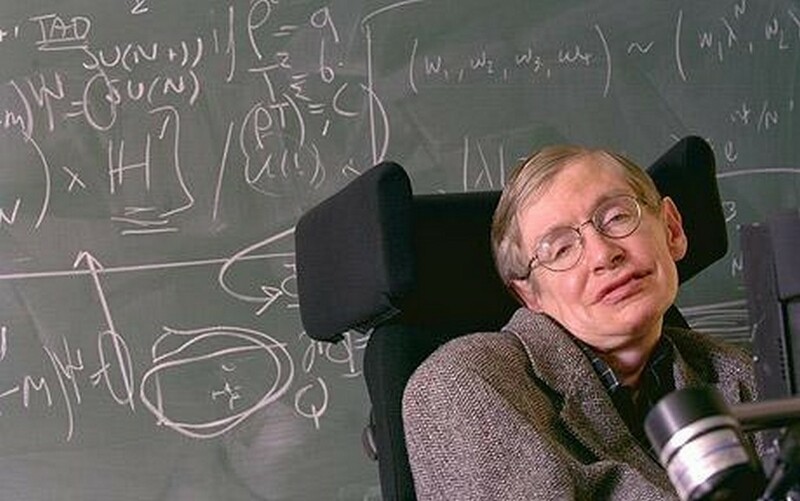 In a talk aimed at the general public, Professor Hawking discusses theories on the origin of the universe. He explains how time can have a beginning, and addresses the progress made by cosmologists in an area which has traditionally belonged to theologists and philosophers. 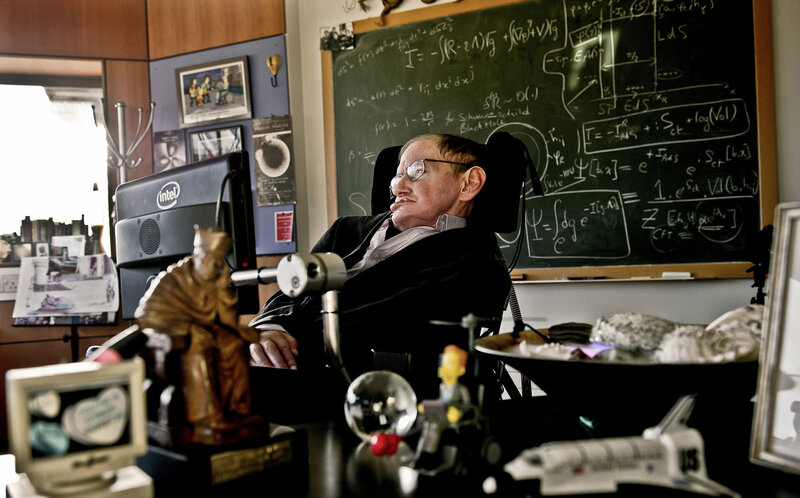 Stephen Hawking holds the prestigious Lucasian chair at Cambridge University, once held by Sir Isaac Newton. He is one of the early developers of the theory of black holes and author of the international best-selling book A Brief History of Time. PLEASE NOTE: This event is free, but tickets will be required. General admission tickets will be distributed on the morning of the lecture only. Please carefully review the complete ticketing procedures, available in a PDF file here. Arrived around 7:15 to get in line and ended up with a nice seat about 10 rows back from the stage. He was entertaining and even a tad inspirational, but it was definitely a “public” lecture and disappointingly had absolutely no technical content in the least.